Home / Stage Lighting / All Disco, Mobile, Stage Lighting / Acebeam L30 Gen II Tactical Flashlight Torch 4000lms Weapons Mountable! UK Dealer – No customs or Tax charges! 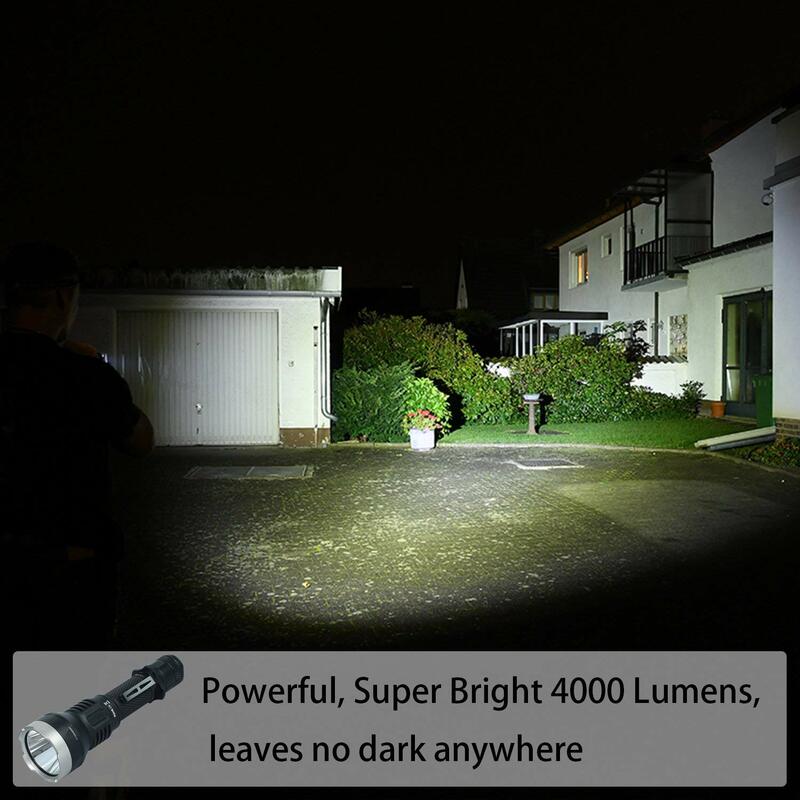 The Acebeam L30 Gen II Tactical Flashlight Torch 4000 lumens – There’s a new sheriff in town! 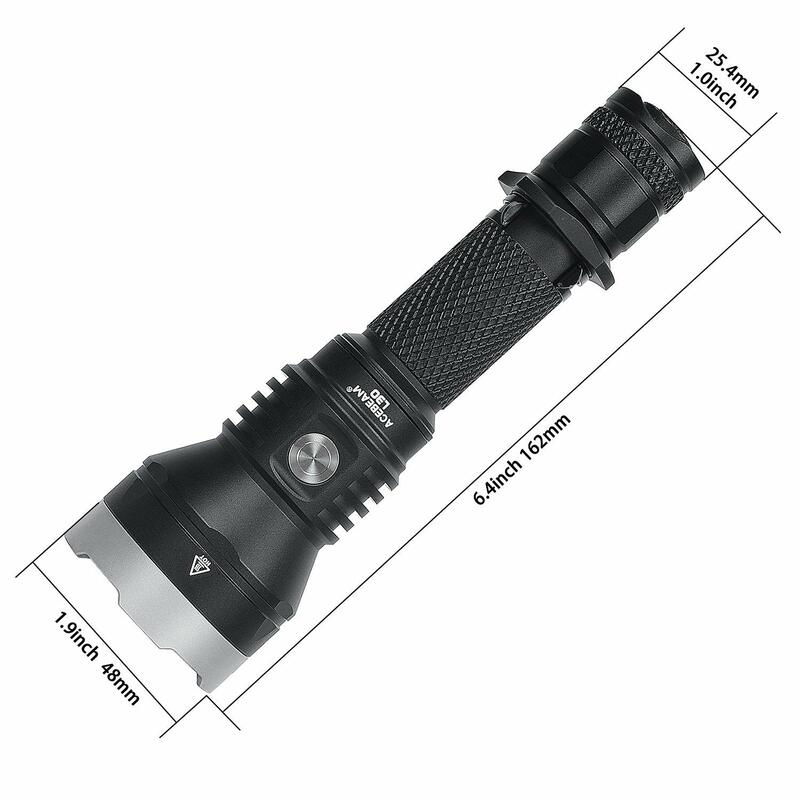 Acebeam’s dazzling new L30 Gen II provides an unprecedented blast of 4,000 lumens from a weapons-mountable flashlight! 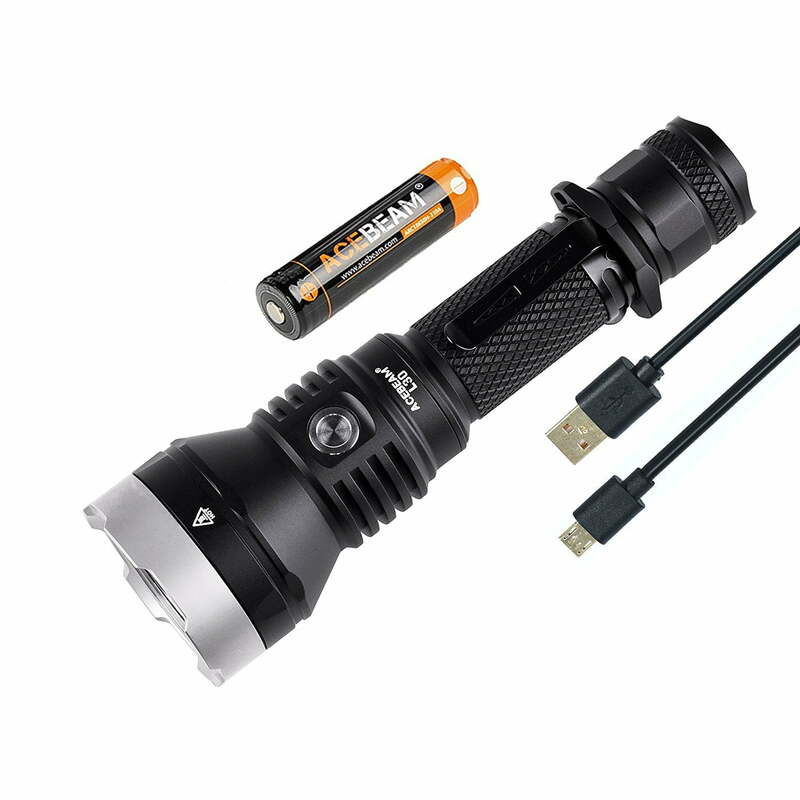 Equipped with the very latest CREE XHP 70.2 chip and Acebeam’s innovative dual-switch user interface; there’s nothing to touch the L30 Gen II in terms of form or function. 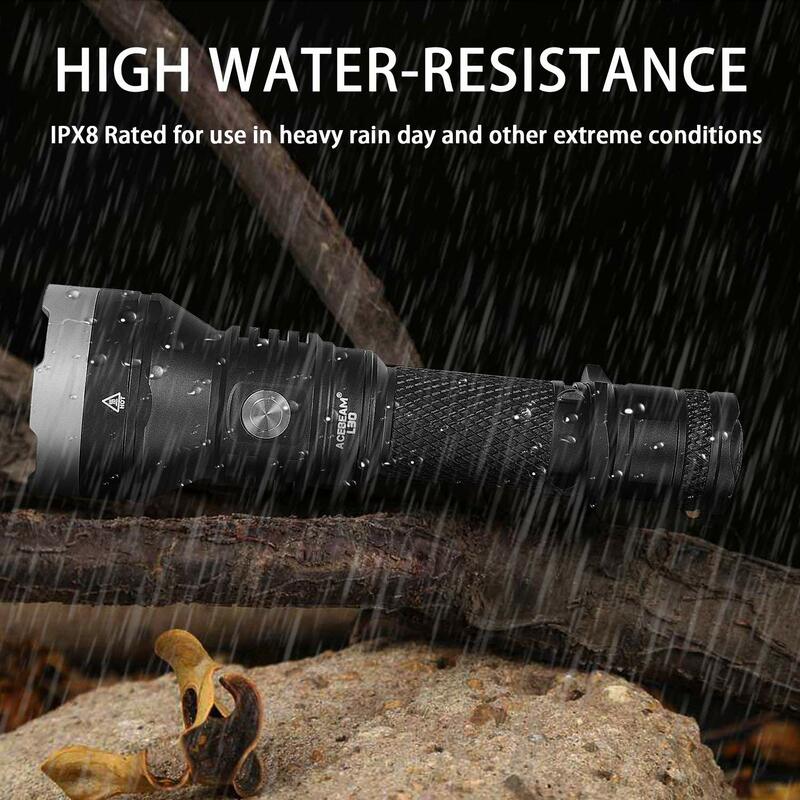 The waterproof 162mm (6.38 inch) body is machined to take 1 x 21700; 1 x 18650; and also 2 x CR123 rechargeable lithium-ion batteries, while the 25.4mm (one inch) diameter battery tube; optional remote pressure switch and range of filters make it an ideal companion for any kind of weapon. 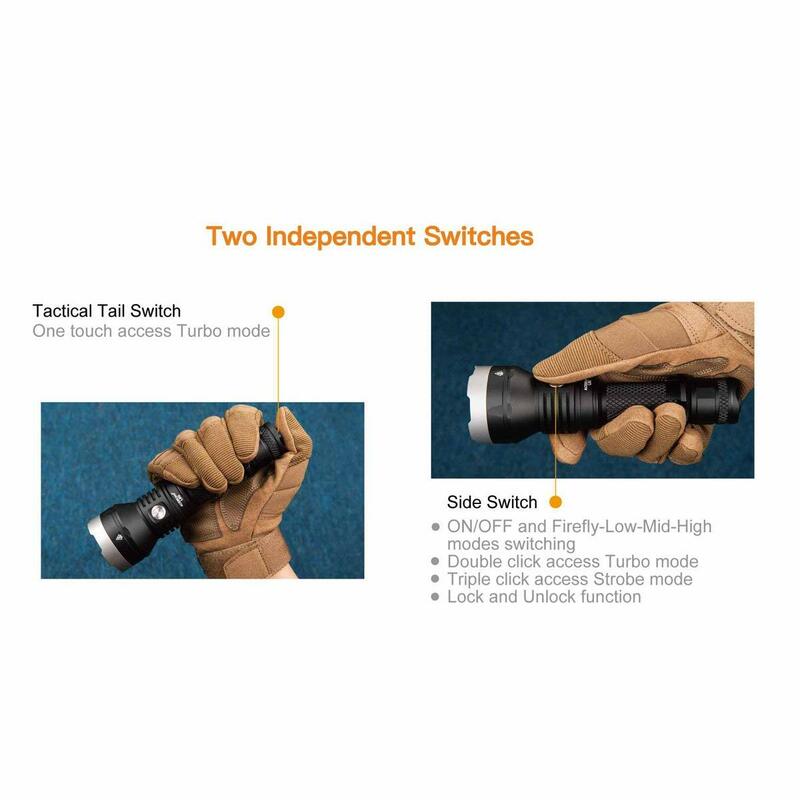 The L30 Gen II is like a side-arm that takes shotgun shells – you definitely want it in your hand, not the other guy’s! Buy from Yowcha; EVERYTHING is included; NO extra Custom Charge; NO Extra Tax and VAT Charges! 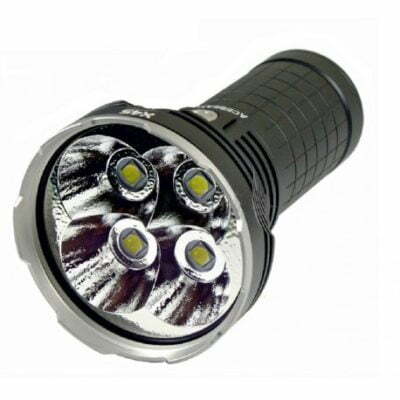 Yowcha are the official UK Acebeam Dealers, so you can rest assured there is no extra Customs bill to pay when you buy from our retail store in Grimsby, Lincolnshire, UK, or when you buy online at www.yowcha.co.uk. Please use caution when using higher output levels!! 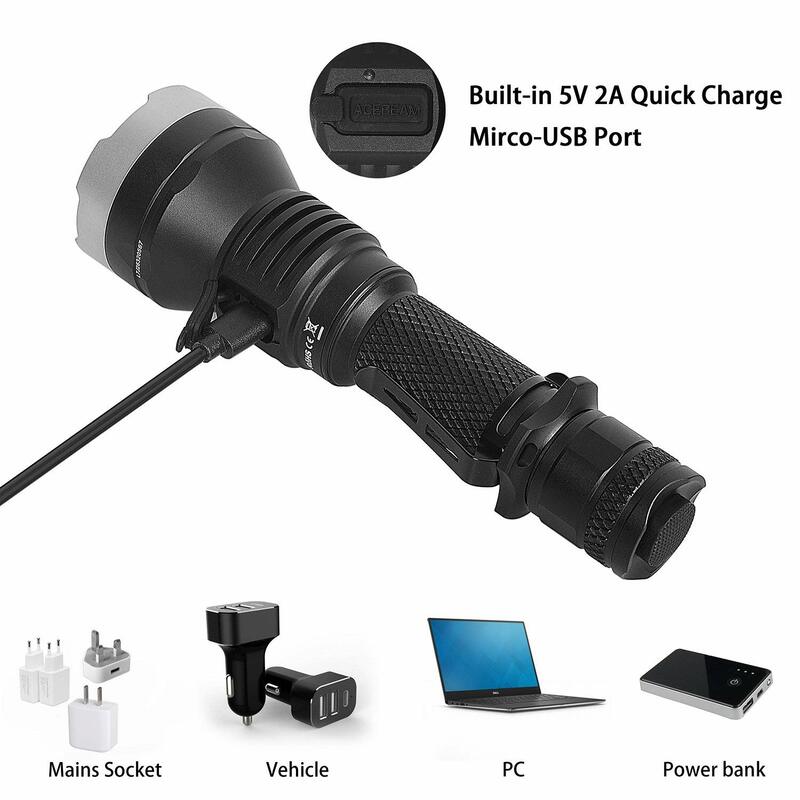 The L30 GEN II gets hot when the it is ON for a long period of time. 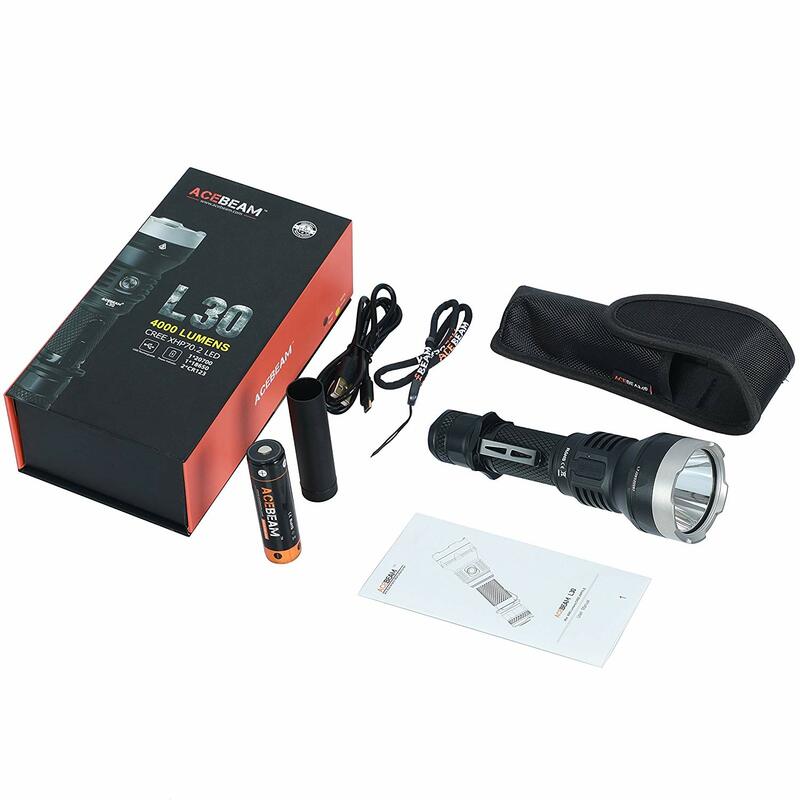 The L30 GEN II is a high intensity lighting device. It is capable causing eye damage. Avoid shining the light directly into the eyes. Keep out of reach of children. The product specifications are subject to change without advance notice. Please refer to our official website for the latest information. 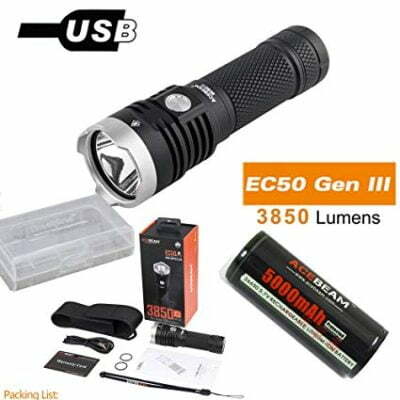 L30 GEN II can work Peak Performance 4000lms when powered by ACEBEAM 21700 (5100mAh) or ARC18650H-310A (3100mAh) battery or the the same batteries of other brands. 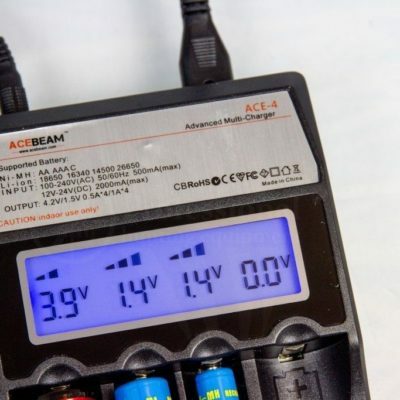 Please try to use ACEBEAM original 18650/21700 battery with PCB protection with 4 MOSFET’s installed; or high drain 18650/21700 battery without PCB protection.